While we understand that the gingerbread cookie is strictly a holiday treat, who says the gingerbread flavor can’t be enjoyed year round in a delightful homemade cocktail? 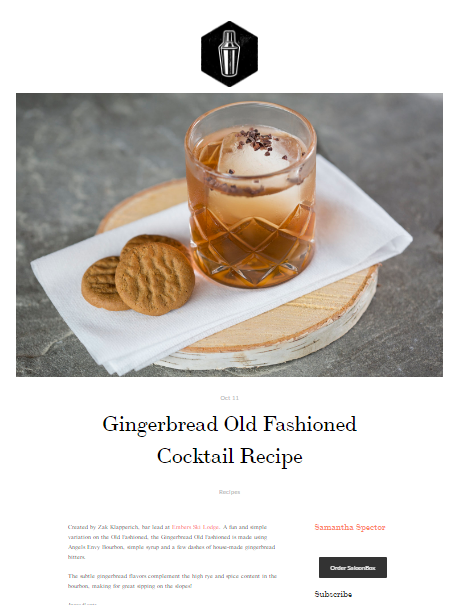 Consider making yourself a classic drink at home this weekend as SaloonBox Cocktail Blog features Embers Gingerbread Old Fashioned cocktail recipe. 1. Stir and strain into a rocks glass over a large ice cube. 2. Garnish with orange twist.